A new federal law, aimed at making it easier for the IRS to detect and prevent refund fraud, will accelerate the W-2 filing deadline for employers to Jan. 31. For similar reasons, the new law also requires the IRS to hold refunds involving two key refundable tax credits until at least Feb. 15. The Protecting Americans from Tax Hikes (PATH) Act, enacted last December, includes a new requirement for employers. They are now required to file their copies of Form W-2, submitted to the Social Security Administration, by Jan. 31. The new Jan. 31 filing deadline also applies to certain Forms 1099-MISC reporting non-employee compensation such as payments to independent contractors. In the past, employers typically had until the end of February, if filing on paper, or the end of March, if filing electronically, to submit their copies of these forms. In addition, there are changes in requesting an extension to file the Form W-2. Only one 30-day extension to file Form W-2 is available and this extension is not automatic. If an extension is necessary, a Form 8809 Application for Extension of Time to File Information Returns must be completed as soon as you know an extension is necessary, but by January 31. Please carefully review the instructions for Form 8809, for more information. As tax season approaches, we wants to make sure all employers can file tax forms in time. ezW2 software has already been approved by SSA to print all W2 and W3 on white paper. If you need to paper print, PDF printer or efile W2 W3 1099-misc and 1096 forms, please feel free to download ezW2 and test drive it for free with no obligation. We just released ezW2 2016 edition. Priced from $39, ezW2 software can print, pdf print, efile Year 2016 W2, W3, 1099-misc and 1096 Forms. New customers are welcome to download and test drive it from our site, with no cost and no obligation. ezW2 2016 version has been approved by SSA to print Year 2016 W2 and W3 on white paper. We will release the new edition soon. 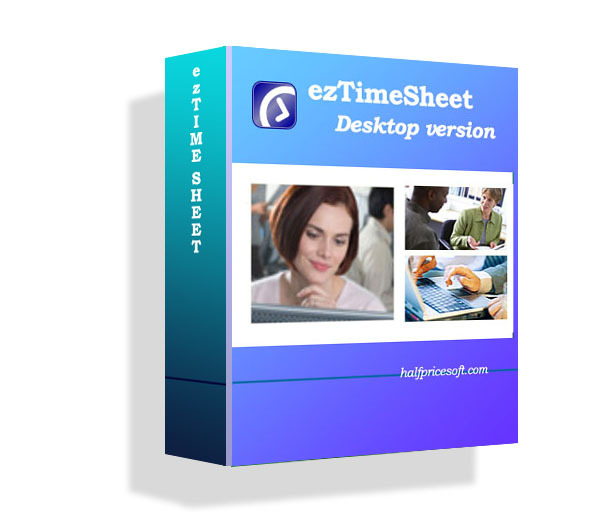 EzW2 software can prepare and print Year 2007 to current tax forms. To print Year 2014 Tax form, you should use ezW2 2014. Preprinted forms are NOT necessary! Step 1: Download ezW2 Software, install it and start it. You can access this screen by clicking the top menu “Current Company->Company”. 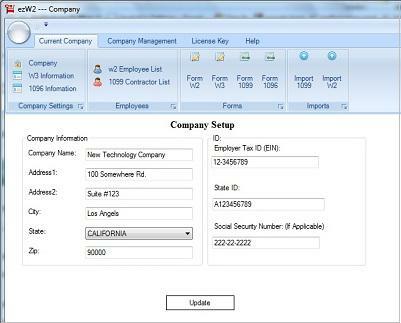 You need to enter the general company information for w2 and 1099 forms, such as Company Name, Address, Tax ID and others. You can access this screen by clicking the top menu “Current Company->W-3 information”. You need to enter the W-3 control number, W3 Establishment Number, Contact Information and others. This information will be displayed on both forms W-2 and W-3. You can print SSA copies and recipient copies on good quality white paper from your home/office black ink laser and inkjet printers. If you file electronically, the due date is March 31, 2015. Preprinted W2 and W3 forms are NOT necessary with ezW2 software! 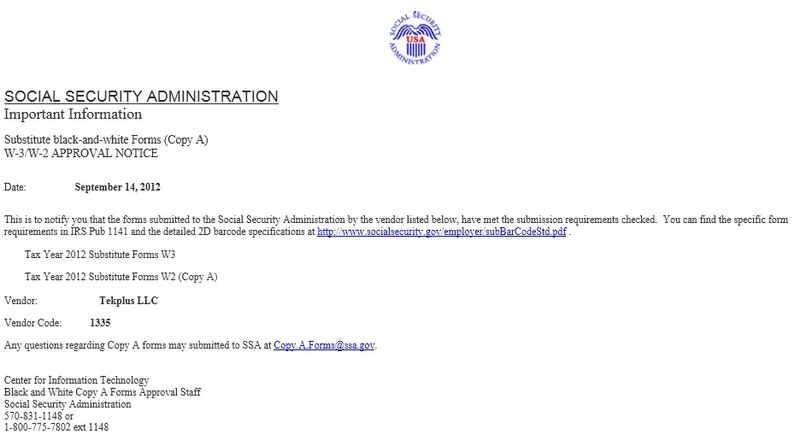 EzW2 software is approved by SSA to print all W-2 forms and W-3 form on white paper. You can print W2 (copy A, B, C, D, 1 and 2) and W3 forms from your laser and ink-jet printers instantly. ezW2 software can generate the W2 efile document so you can upload this file to SSA site and file W2 forms electronically. ezW2 2013 will be available in Nov. 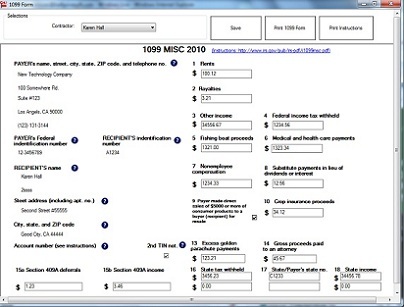 Many customers contacted us about ezW2 2013, the Form W2 and 1099-misc software. Our new 2013 tax forms have already got approved by SSA. We are working on the new features of 2013 W2 software. Hopefully it will be available in Nov. In response to customers' requests, the new 2013 version will allow mulitple users to share the same file over network. 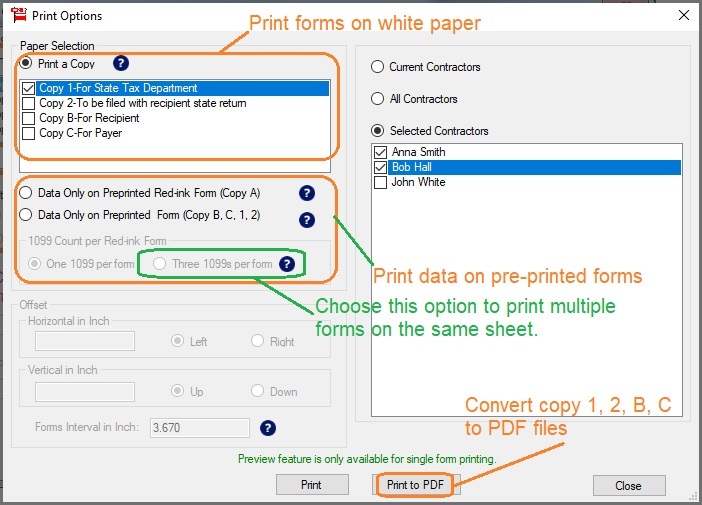 ezW2 software can print ALL W-2 forms (copy A, B, C, D, 1 and 2) and W-3 forms on plain paper. The black and white substitute forms of W-2 Copy A and W-3 are SSA-approved (Vendor ID: 1335). Priced from $39, ezW2 is affordable W2 and 1099 form printing and filing solution for any business. Step 2: You can click the top menu “Current Company”, then select sub menu “Form W2” to open W-2 Form Edit Screen. 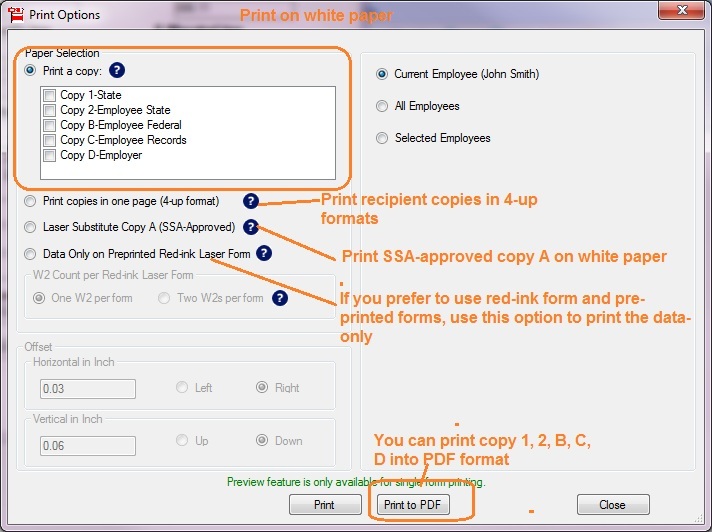 Step 3: Then click the “Print W2” button to open W-2 Print Option screen. You can download and try eZw2 for free with no credit card needed and no obligation.